New research has shown that younger cancer patients are more likely to have surgery for their disease than older sufferers. Patients below the age of 55 were found to be more likely to have an operation for 19 types of cancer than older people, the Cancer Research UK report found. Surgery rates for kidney cancer patients over the age of 85 stood at only one in 10. This compared to almost three-quarters (73%) of people under the age of 55 and 36% of patients aged between 75 and 84. The data - which was compiled in conjunction with the National Cancer Intelligence Network - painted a similar picture for bowel, breast and lung cancers. Of the three biggest killers, bowel cancer offered the largest proportion of over-85s receiving surgery at 39%. This was still less than the two-thirds of people younger than 55 getting similar treatment. The report stated that more than three-quarters (76%) of breast cancer patients aged younger than 55 had surgical procedures. 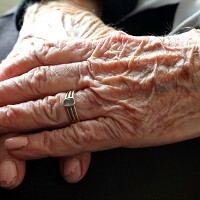 The rate for over-85s was given as 26%. Those who have had successful surgery may well decide at some point to take a holiday, or to visit family overseas. They can arrange specialist travel insurance for cancer patients. Cancer Research UK said the research gave further background to the "age bias" from which it says older cancer patients can suffer. The charity's head of statistics, Nick Ormiston-Smith, said past studies had suggested older sufferers could be overlooked for surgery due to their age. He called for changes to be made to the situation and emphasised the need for earlier diagnoses. If that could be achieved, he said, greater numbers of patients could be suitable for surgery and other treatments. Returning to the current situation, Mr Ormiston-Smith said it was "wrong" if older cancer patients were not being offered the option of surgery.